Here at The Fashion Barbie, I always try to be real with how I dress. When I post personal style outfits, they are always outfits that I actually wear in my everyday life, and often I pose for #ootd pics when out and about. When I do plan photoshoots, I only ever post outfits that I naturally wear. I may be a blogger, but I'm a real person who wears clothes in real life, so I always try to showcase that on my blog! As a real person, I often encounter the question of how to transition a look from day to night. Now that I'm a working woman, I find myself invited to post-work events and dinners. The outfit that I may have sported to work may not always be appropriate after hours, at least not in its present state, but I usually don't have time to go home and completely change my look. Hence, I've been thinking a lot about how to transition outfits from day to night with a few key accessory changes. Above is a typical outfit I would wear to work or even out and about on the weekends. 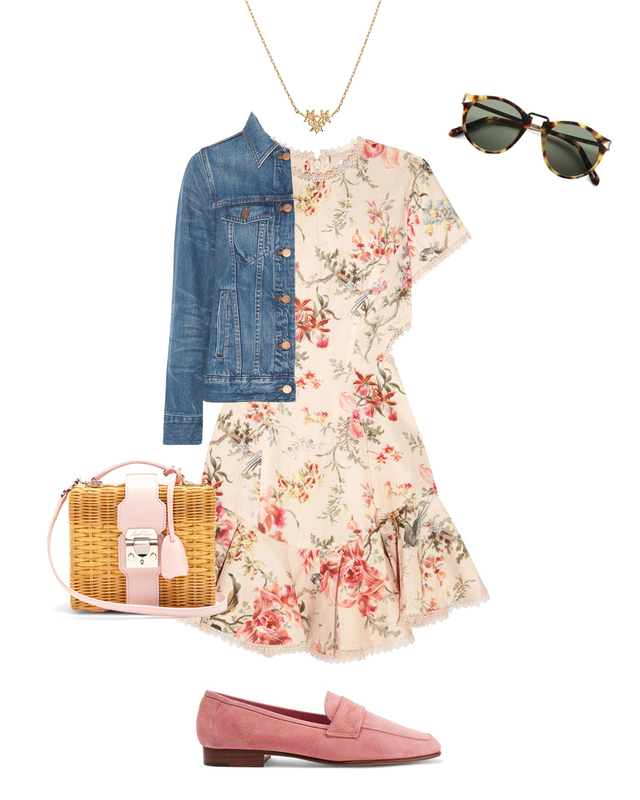 Floral dress, denim jacket, shades, a cute purse, and walkable shoes, all topped off with a dainty gold necklace from AUrate. You can catch me in a similar look all the time, but it isn't exactly night out material. ...this outfit is ready for a night out! All it takes is a few simple changes. Swap out flats for cute heels, switch your jean jacket for an edgier leather one, and exchange a daytime bag for a sleek clutch in a bold color. If you have your ears pierced (alas, I do not), throw on some lovely minimalist pearl earrings for a sophisticated statement. And bam! You're ready to go! No need to change the dress (or the versatile necklace)! 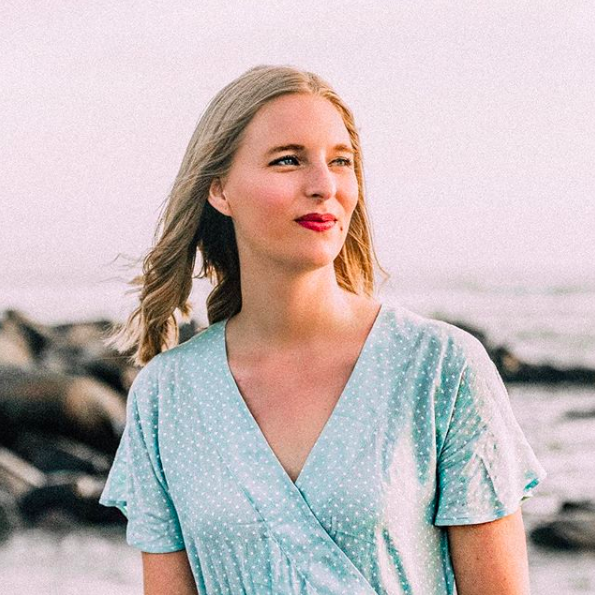 Switching up an outfit to go from day to night might seem complicated, but if you follow these tips, I promise you'll be able to switch up an outfit for any occasion! How do you take an outfit from day to night? I love that dress! So cute!!! That leather jacket really makes a huge difference! I love both looks! Great post girl!